An incident on an aircraft equipped with a synthetic vision system raises unsettling questions about technology, insidious failure and tunnel vision. Half past one, on a June morning at Meekatharra airport. Dead of night and just about the coldest hour of the entire year in this sun-baked inland West Australian town, but at least the moon is shining. 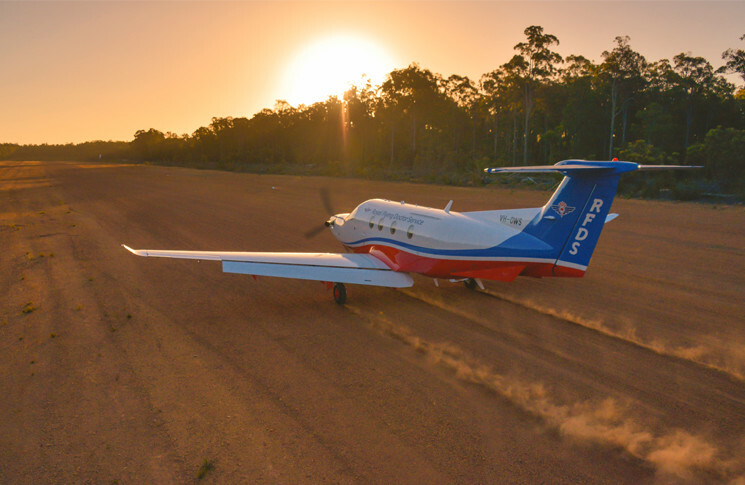 A Pilatus PC-12 of the Royal Flying Doctor Service is undergoing pre take-off checks for a retrieval flight to Paraburdoo. 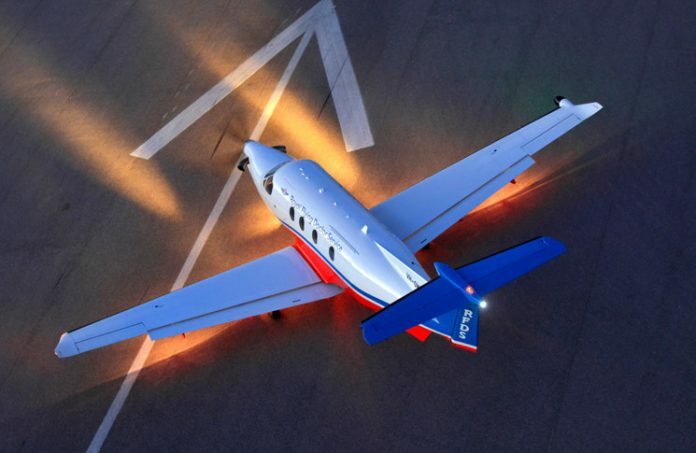 Among the single engine turboprop’s advanced features is synthetic vision. A synthetic vision system is an aircraft cockpit display that presents the environment around the aircraft using computer-generated imagery recreated from its navigation database to create a picture of terrain on the primary flight display. It uses GPS to paint the terrain on the attitude indicator. The aircraft has been hangared and its GPS units have to reacquire the satellites overhead in the clear sky. The pilot pauses the aircraft before the threshold to let this happen. GPS 1 locates all its satellites as required, but GPS 2 fails to initialise and shows a caution message UNABLE FMS-GPS MON, on its display. The pilot flying reaches for the quick reference handbook and in it finds a fix for the problem. The caution message clears and the aircraft lifts off about 0145 local time with both systems operational. About 18 seconds later, it gets weird. As the aircraft is climbing through about 250 feet AGL at an airspeed of about 110 knots, the radio altimeter (radalt) winds down to zero. The radalt low altitude awareness display rises to meet the altitude readout. 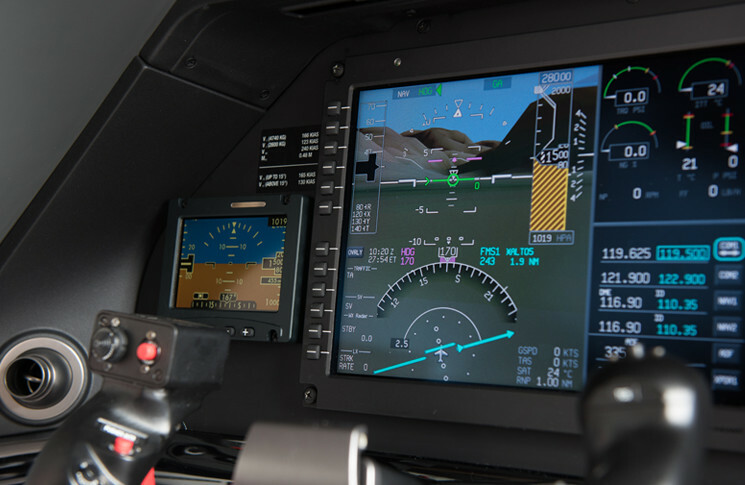 The synthetic vision image on both pilots’ primary flight displays (PFDs) shows they are sideslipping while sinking to the ground. The runway is darting left and off the screen, as the ground representation is rising rapidly up to meet the zero pitch reference line. the flight path indicator moved up to about 15 degrees. But there are no warnings sounding or cautions lighting. The stick shaker does not activate because the aircraft is nowhere near the angle of attack it would be at the PC-12’s quite impressive stall speed of 67 knots. Most strangely, there is no word from the terrain awareness and warning system (TAWS). The check pilot looks outside (there is no standby instrument on the right side of the cockpit), sees a faint but visible horizon in the moonlight and says ‘attitude!’ causing the pilot to focus to the standby instrument, monitoring its old-style flat horizon and its speed and altitude tapes. It shows the aircraft climbing, but nose-high. Airspeed, which had reduced to 101 knots increases to the planned 110 knots, and at about 850 feet the synthetic vision returns to normal and the rest of the flight is entirely placid, at least as far as the recording equipment is concerned. The crew report the incident. The Australian Transport Safety Bureau (ATSB) investigation determined that both antennas associated with the radalt system (one for transmit and one for receive) had failed, after more than 9000 hours in service. ‘The antennas did not have a life limit, but were required to be replaced “on condition”, which essentially meant that the antennas remained in service until they failed,’ the ATSB said. The pilots were both experienced, able to put their incident into the context of thousands of hours, and reported in detail to the ATSB. They told the investigator this experience was different to previous instrument failures, which they had both experienced. It was harder to compensate for, paradoxically, because in normal use synthetic vision worked very well. The maker of the display, Honeywell, issued Pilot Advisory Letter PAL-APEX-01 to all pilots, chief pilots and flight operations managers on 11 August 2016. It advised pilots that synthetic vision was for situational awareness, and should not be used for indicating attitude or altitude in lieu of the primary flight display indications for pitch, roll, yaw or altitude. 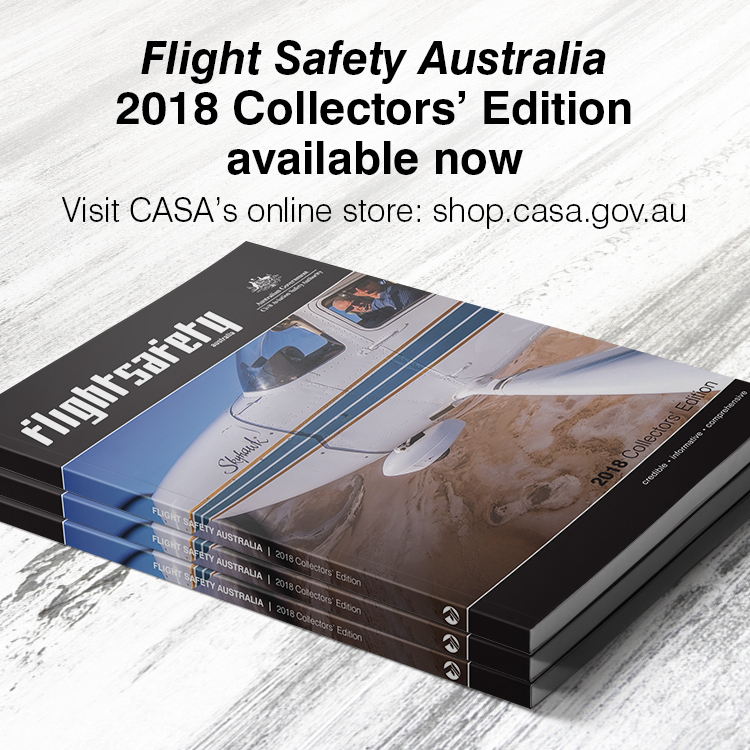 CASA human factors specialist, Reuben Delamore, says further instructions and admonishments aimed at pilots are at best only part of the solution. They do not address underlying issues of technology, psychology and design. ‘We’ve got all this fabulous technology on flight decks, but with hindsight, as an industry, we’re not necessarily considering what could happen if technology doesn’t behave as expected. All we have is a general principle—technologies that work in new ways fail in new ways,’ he says. Delamore notes a long standing design issue in the form of the cautionary placard on the aircraft’s panel. ‘The synthetic vision system had a little placard below its screen that said words to the effect of “don’t use this as your primary means of information,”’ he says. The placard was there because as a non-redundant system without self-monitoring, synthetic vision can only be used as an aid to situational awareness. The placard was an example of trying to solve a system problem, in this case the unknown (although relatively good) reliability of the synthetic vision system, by placing the onus on the user. Delamore notes that synthetic vision systems are available at minimal cost as software for tablet computers and that the technology is becoming popular in sport aviation. 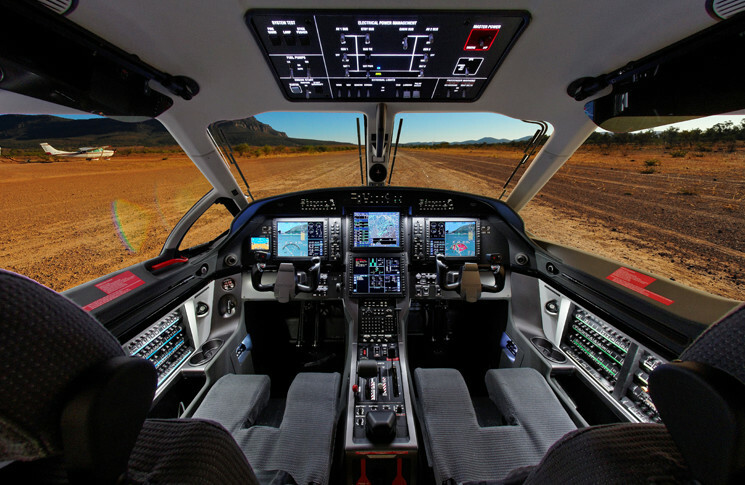 ‘Performance is considered, but speaking to users in sport aviation I have noticed a presumption that “the manufacturer’s considered that so it will be OK.” The other issue regarding tablet-based systems is the potential for users to “get buried in the menus”,’ he says. The potential to believe no traffic (or other obstacles) is present if not displayed, when in fact this ‘false world’ could result from a database or sensor limitation. Delamore notes there was, thankfully, no complacency in the Meekathara incident, but the pilots said themselves that things could have been different if they had been tired, rather than on the first flight after a good rest. Human Factors Issues In Synthetic Vision Displays: Government, Academic, Military, and Industry Perspectives. Synthetic vision display error involving Pilatus PC-12 VH-OWA, Meekatharra Airport, Western Australia, 18 June 2016. Australian Transport Safety Bureau. Prinzel, L.J., and Kramer, L. J. (2009). Synthetic Vision Systems. Research and Technology Directorate, Crew Systems and Operations Branch (D-318), Mail Stop 152, NASA Langley Research Center, Hampton, VA 23681, USA. Will be interesting to see what comes of a fatality resulting from very thing that is meant to help the pilot, technology. As technology advances so does risk! Sadly one day there will be no pilot out there with actual flying skills, something that I notice is deteriorating at a rapid rate! I agree with Walter. A couple of years ago I spoke with a very highly regarded check pilot about proficiency and what that means. He related an incident where he lost his autopilot in IMC during an approach, and how hard it was for him to maintain precise control of his aircraft, despite thousands of approaches hand flown by reference to his ‘six pack’. He commented on how quickly stick and rudder skills declined, as well as automatic visualized interpretations of his instruments. For a pilot trained and immersed in the virtual reality of glass going to the alternate round dials will, I believe, be extraordinarily difficult to accomplish. I was first introduced to flying in a link trainer at school. Shortly afterwards I began flying lessons for real. I am concerned that the most professional pilots, who measure their experience in hours, have usually done very little actual flying, so I believe that use of autopilot is not a good thing. Maybe all right in perfect weather at cruise, but not for other situations. I also don’t like the new (to me) glass instruments, where the two main items of information, airspeed and altitude, are small digital displays and not prominent like the old analogue instruments. Similarly cars are doing away with the main instrument being a tachometer, undoubtedly the most important instrument, especially for motor sports. Some might argue that autopilots are brilliant and can even autoland, but most of the airports still close if it’s foggy. I would feel a lot happier flying as a passenger if I knew the pilot had 1000 hours of hands on real flying with plenty of landings, than a 10,000 hour pilot with 9,900 hours of driving a computer. My kids at 12 and myself could land in IMC doen to 300 feet on an aircraft carrier on our computer.